High quality glucometer enables quick testing with clear & accurate results. Interpret your glucose levels accurately wlth just a tiny speck of blood. Diisposable and only good for one test. Lancets are loaded into this spring loaded device to generate a quick and painless blood sample. Reusable. 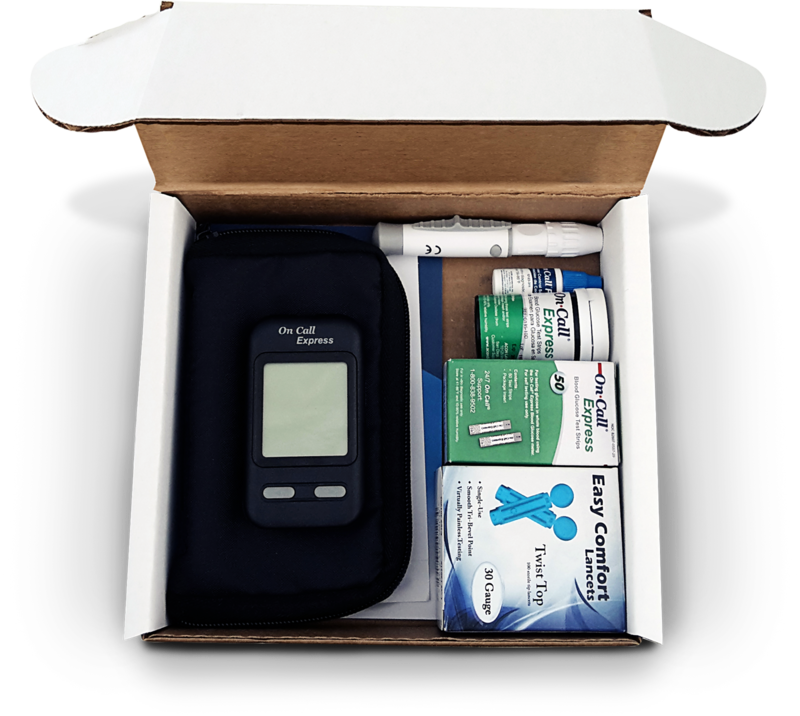 Ensures the glucometer and strips are working properly. 30 gauge, super thin lancets provide for comfortable testing. Disposable and only good or one test. Holds all equipment to make for easy testing on the go. No Fees and no commitments. Cancel anytime you wish. Want to try a different plan? You can change your plan and meter type at any time. Too many supplies or not enough? 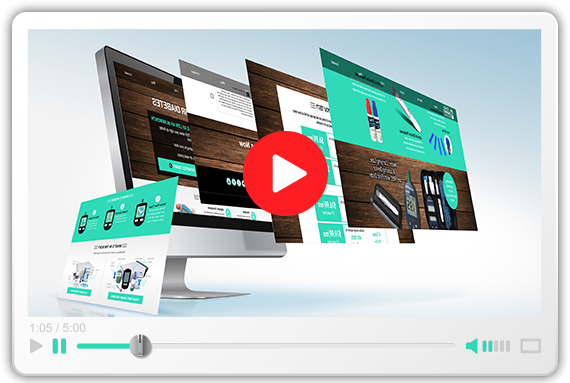 No worries, you can change both the quantity of strips or your next shipment date at any time. 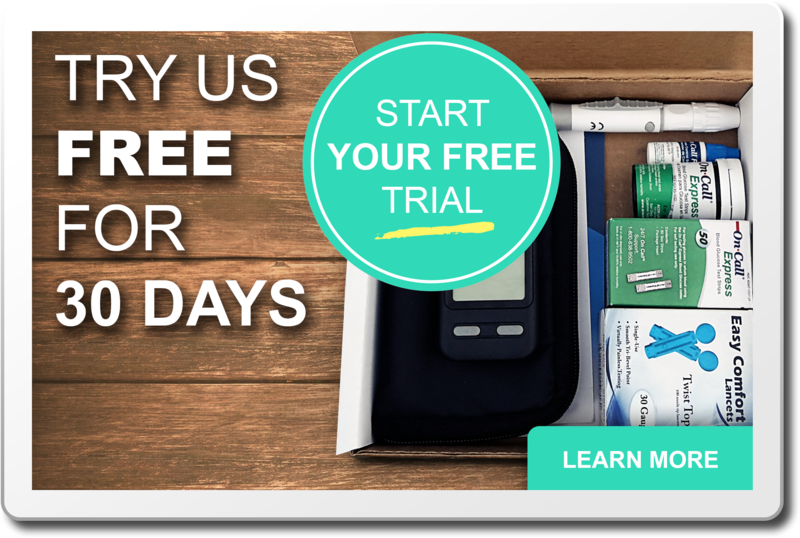 We will ship you 3 months of supplies based on your testing frequency every 90 days. for them until you meet your outrageous deductible. 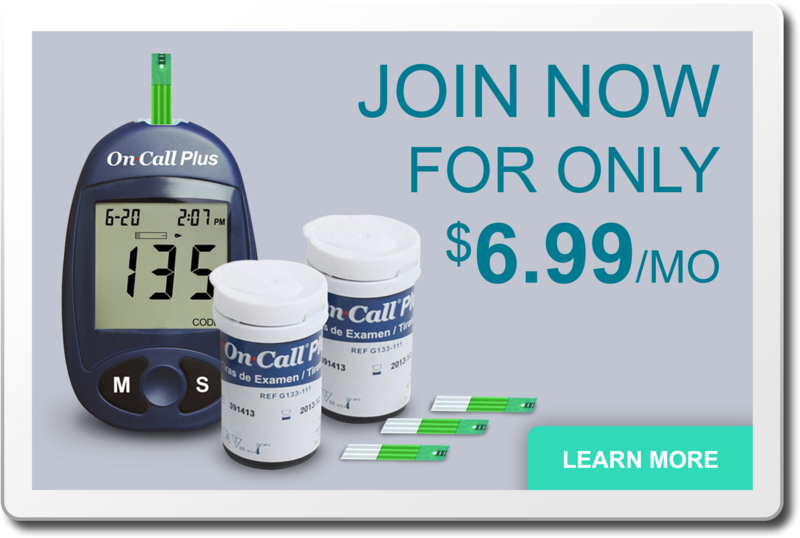 Dollar Diabetic Supply will save you up to 90% on your out of pocket expenses, for supplies that are equally comparable in quality. Did you know that your copay for diabetic supplies could be up to 5 times more than what you would pay with Dollar Diabetic Supply? Most insurance companies require you to use certain brands of test strips because the manufacturers of those brands pay your insurance company a rebate when you purchase them. So while you have to pay the full amount of your copay, your insurance company is getting reimbursed a significant portion of what they pay. Don’t fall victim to this trap. 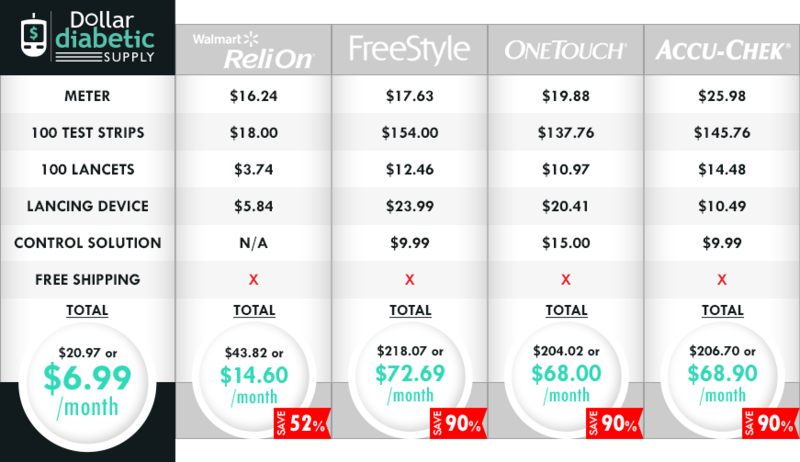 DDS has comparable products for much less than your insurance copay. Try Us Free For 30 Days. Start Your Free Trial Now. Learn More. Join Now for Only $6.99/Month. Learn More.